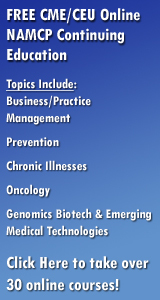 Free CME/CEU program on Type 2 Diabetes: Click here to take the online program! July has been an active month at the U.S. Food and Drug Administration when it comes to personalized medicine. The agency approved four molecularly targeted drugs. The agency kicked off July by greenlighting the cystic fibrosis drug Orkambi for patients with the F508 del mutation, which is the most common cause for the disease. If we’re to win the war on cancer, leading researchers say, then delivering personalized care to each and every cancer patient is crucial. That’s easier said than done; there are over 14 million new cancer diagnoses each year, according to the World Health Organization; and each case is unique. Looked at in this way, curing cancer is not just one of the world’s greatest public health challenges, it’s become a daunting big data challenge, says Norman Sharpless, M.D., and director of the UNC Lineberger Comprehensive Cancer Center. A new method for delivering stem cells to damaged heart muscle has shown early promise in treating severe heart failure, researchers report. In a preliminary study, they found the tactic was safe and feasible for the 48 heart failure patients they treated. And after a year, the patients showed a modest improvement in the heart's pumping ability, on average. Producing large quantities of muscle fibers has proven to be difficult inside a lab. Until now, researchers have been able to create contracting muscles as well as muscle that is 10 times stronger than our own, albeit in small quantities. Researchers at Brigham and Women’s Hospital have just changed all that. The traditional healthcare model is based on face-to-face encounters between patients and care providers in care facilities where dated or aging collection tools are used to diagnose and treat illnesses. That model, driven by the explosion of new healthcare technologies, is about to be radically changed. Can cloud technology fix the healthcare system? It’s no secret that the U.S. healthcare system is broken. It’s plagued with splintered information, wasteful duplication and a severe lack of insight into the health of a patient, or population of patients. If you’ve ever sat in a hospital waiting room, filling out a paper form on a clipboard, you’ve experienced the crux of the problem: Data exchange in healthcare — getting providers the information they need to deliver care — is woefully behind that of virtually every other industry.